Certainly, the simple enjoyment of a beautiful garden is reason enough to hire a professional in garden design in Atlanta, but there are a number of other good reasons to do so, not the least of which is the likelihood that you will see an increase in the value of your home. Nothing does more for curb appeal than a beautifully landscaped front lawn and garden, and few things are more important in establishing a home’s value than curb appeal. Whether you opt for a striking water garden, stylish front walk pavers, or a strategically placed patio design, you are bound to reap the dual benefits of enhanced enjoyment and increased property value that comes from a well laid-out design. Just to be clear, there is a distinct difference between someone who is a landscaper and one who is trained in landscape design. A landscaper is someone trained in landscaping and who typically works to maintain or enhance a home’s existing garden layout and has not necessarily fulfilled any educational requirements in the field. On the other hand, a landscape designer, often referred to as a landscape architect, creates designs for eye-catching, yet functional outdoor spaces—whether residential or commercial. A landscape architect typically holds a bachelor's degree in their field and frequently owns their own landscaping business. Let’s look at three reasons one should hire a landscape designer. Landscape designers not only have plenty of ideas, often from years of experience, but they also know what works and what doesn’t. Part of this is due to their formal training, but there is also an innate ability that comes from someone who does landscape design for a living. For instance, some backyard spaces can’t have certain features based on location or slope of the yard, with which you may not be familiar, though a landscape designer will be. As such, they can give you tips, for example, on how you can lessen soil erosion in an area of your landscape that has a steep slope. In the end, this can save you considerable money in not making a wasted investment in a garden that simply won’t survive in the long run. Add to this their ability to use past experiences by taking disparate ideas from other projects and piecing these together into a completely new idea customized for your space. 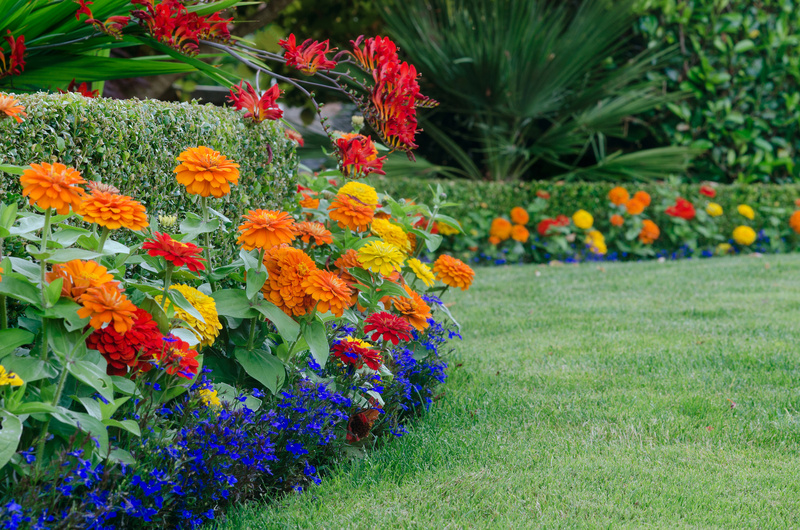 This aspect might seem easy if you have a green thumb or are into gardening, but a landscaper designer can ensure that you choose the correct plants for your area because they have the training and an extensive knowledge of horticulture. Every parcel of land is unique and what might work well in your next door neighbor’s yard might fail miserably in your own yard. Landscape designers understand this and will consider not only plants that will thrive in your space but also those that are well-suited to your particular landscape. This is because they have the skills to understand the overall ecosystem and how your needs and aesthetic preferences fit into that macrocosm. For instance, a good landscape designer knows where to strategically locate trees in order to lower your energy bills by reducing heating and cooling costs. They can devise a drip irrigation system that waters plants at their roots, thus saving on your water bill. As with most things in life, planning is a most crucial element and proper landscaping is no exception since, without adequate planning, you’ll never get the best results. Once an in-depth analysis of your landscape has been done, the next step is to produce a conceptual design for you to consider. One of the primary advantages of hiring a landscape designer is their project management skills and their ability to know what has to be done first and what to do in each subsequent step. They can then create a plan because they know how the different elements of your landscape work together and are trained to think about landscapes within the context of an overall system—addressing the big picture as well as the smallest details.